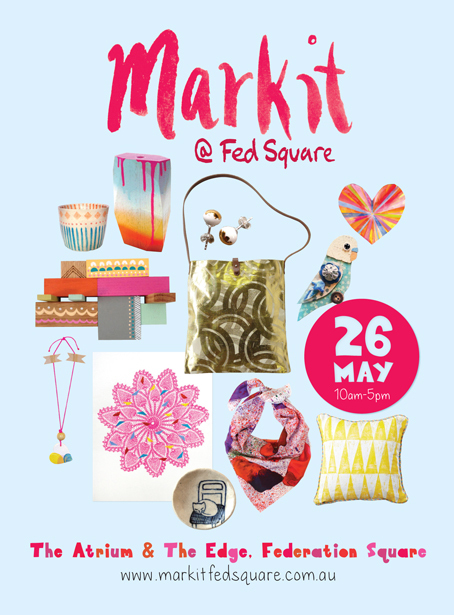 I’ve been a busy lady, working on a whole bunch of artworks and goodies for Markit at Fed Square. Mostly everything is new – plates and artworks for walls, cards for the mail, jewellery for your self… Fun fun! I’ve prepared a little photogallery of some of my work so far… with much more to come. Can’t wait to see the other stands and meet some lovely people, looking forward to my first big market indeed.